BHS Show Producer Chad Bennett thinks big. Really big. When he saw the possibilities of the fantastic Segerstrom Center for the Arts, he started lining up a truly incredible roster of artists for the 2018 Midwinter Convention, January 18-21, 2018. Did he go TOO FAR? 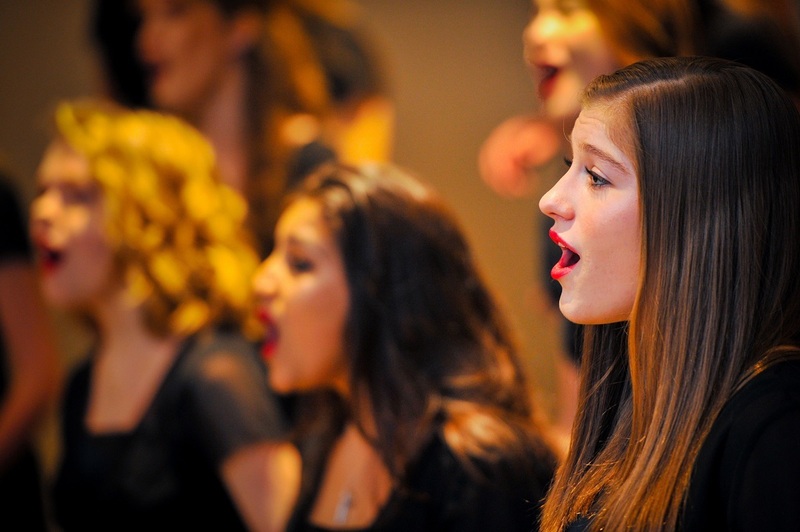 Is two youth champs, three quartet medalists, three world champion quartets, three world champion choruses, and two giant-sized massed choruses TOO MUCH? You be the judge. A few all-events admissions are still available, but we’re heading toward a sell-out. For the rest of us, there’s the LIVE STREAM, at a new, lower price, starting at just $29.99 for a one-month subscription. 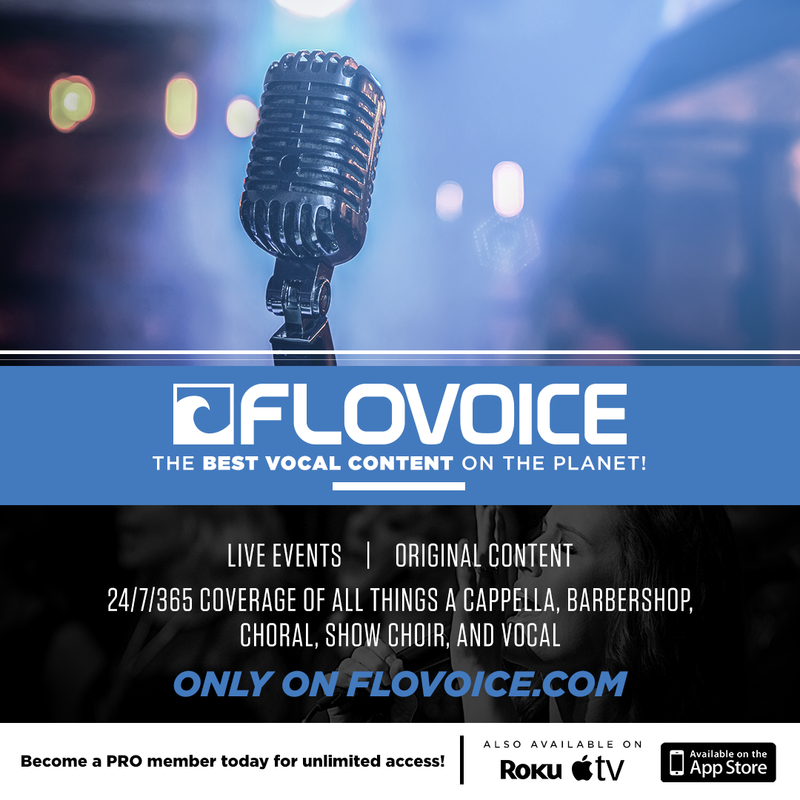 Subscribe today to FloVoice, our new streaming partner, and get all the action delivered to your desktop, mobile, or connected TV devices such as Apple TV and Roku. Plans start at $29.99 for a monthly subscription. A FloVoice annual subscription will also provide access to the 2018 International Convention and Contests in Orlando, July 1-8, 2018. Look what you’ll see in your first month! 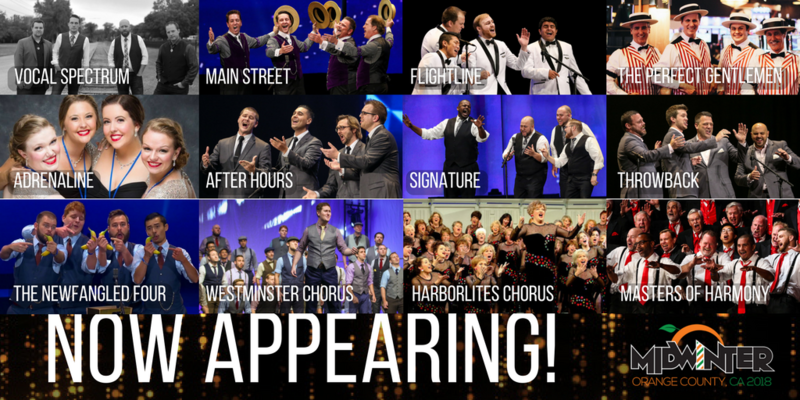 Eighteen choruses from across the continent! 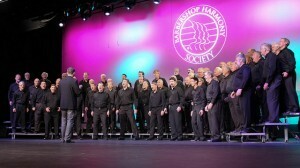 The top 25 quartets battle for the championship.